Is one of the two first class municipalities in the Province of Aklan (the other is Kalibo, home of Ati-atihan Festival). It is also in this province you will find the Island of Boracay, the premier tourist destination in the country. Located in Brgy. Caticlan in the town of Malay, is the main entry/exit point to the Island of Boracay. A short 10 to 15 minutes boat ride crossing Tabon strait will bring you to the closest entry/exit point of Cagban Jetty Port (located in the south side facing the strait) in Brgy. Manuk-manukan, Boracay. Whereas Tambisan (facing east), is the alternative entry/exit point during habagat season. Tourism by the way is at its peak during summer season. 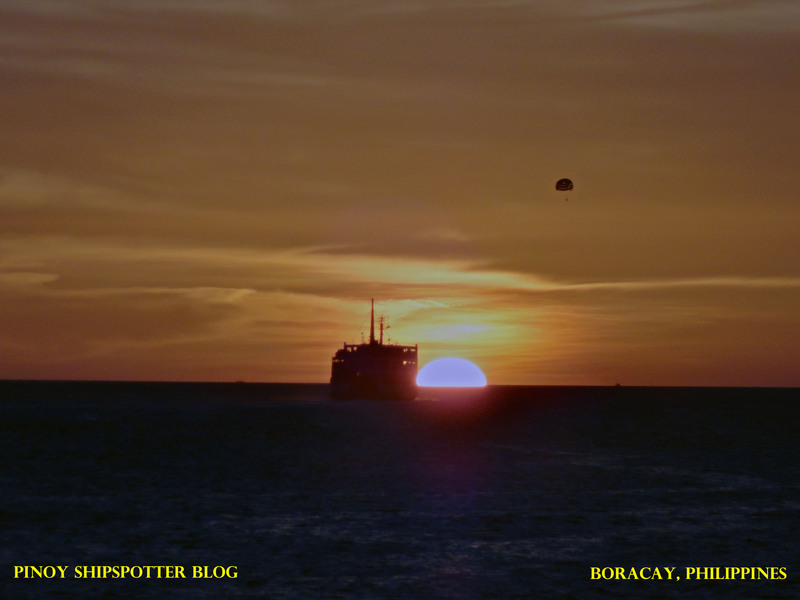 Port statistics shows that between January to March of this year, there are 325,000 recorded numbers of tourist visited the Island of Boracay via Caticlan Jetty Port compared to 210,804 on the same month of 2011. This so called nautical highway combines several provincial road leading to RORO Ports/Wharves connecting the Island of Luzon, Visayas, and Mindanao. It provide cheaper alternative in transferring of perishable goods, vehicles, and people (tourist and vacationers) as compared to costly liners and air transport. Caticlan Jetty Port Passenger Terminal building has two wings. The wing on the left side (facing the terminal) are used for ro-ro passengers bound for Mindoro and Batangas. Whereas on the right wing (again facing the terminal) are used by foreign/local tourist and aklanon residents boarding fast craft or motorized outrigger to Cagban Jetty Port. Connecting both wings is the spacious lobby that houses Administrative offices, Medical Clinic, Shipping company offices, Information kiosk, and Baggage x-ray machine. For the convenience of the passengers, the terminal building are fully air-conditioned with cable television, and WI-FI connection while awaiting for the next boarding call. Outside the terminal building is a ticketing booth for ro-ro vessels plying Caticlan-Roxas and Caticlan-Batangas route, another is the ticketing booth for fastcraft owned by Montenegro Shipping (started on August 8, 2008), and Oyster Ferry Boracay Transport; whereas booth/desk for Boracay Transport Multi-Purpose Cooperative with 90 operator/boat member are all house just near the other booth. On the other hand, terminal (fee is 50 pesos), and environmental (fee is 70 pesos) booth can also be found near the ticketing booth. For short of cash, there are two ATM machines on the right wing. Beyond terminal premises are food establishment, drugstore, convenience store, buses and for hire vans to and from Iloilo city. You may also find large passenger type motorized outrigger going to Lo-oc, Romblon in the leftmost part of the pier, outside the terminal premises. 3. Socioeconomic Reports on Central Philippines, 7th July 2006 by Sec. Romulo Neri (Secretary of Socioeconomic Planning).